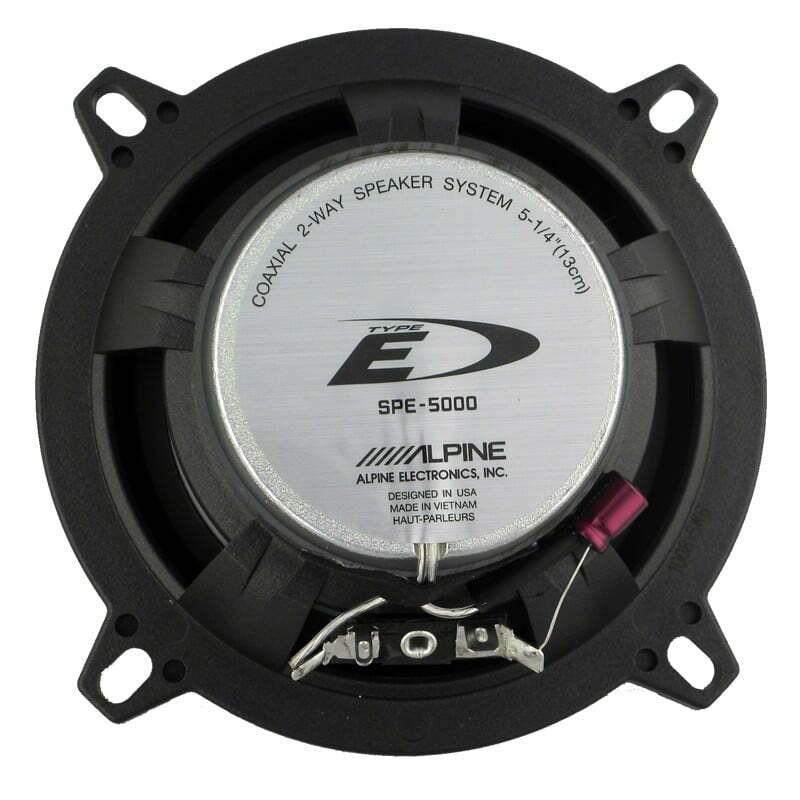 The Alpine SPE-5000 5-1/4″ Type-E Series Coaxial 2-Way Speakers are a significant step up from your standard factory speakers, yet still an affordable upgrade. The all new 2016 Alpine Type-E series speakers were designed for performance, and packed with sound quality you have come to expect from Alpine. Just because you want better sound in your car, doesn’t mean you have to break your budget. The Alpine SPE-5000 Type-E speakers are the perfect choice when looking for an affordable option, if you simply need a pair of replacement speakers or even if you want to start building an upgraded sound system. To output superior quality sound, the Alpine SPE-5000 Type-E speakers were developed off of the design and use of soft dome tweeters, rather than traditional cone-type tweeters which can be harsh and fatiguing to the ears. This design results in a more enjoyable listening experience in your car or truck, when playing back your favorite music or enjoying other entertainment over your sound system. The Alpine SPE-5000 Speakers come pre-outfitted with a sleek and stylish, yet lightweight outer mesh grill. The Alpine Type-E series speakers were meant to serve both form and function, the dark, solid grill is a very attractive upgrade to standard factory speaker housings, and serves to protect the speakers from any physical contact or debris. 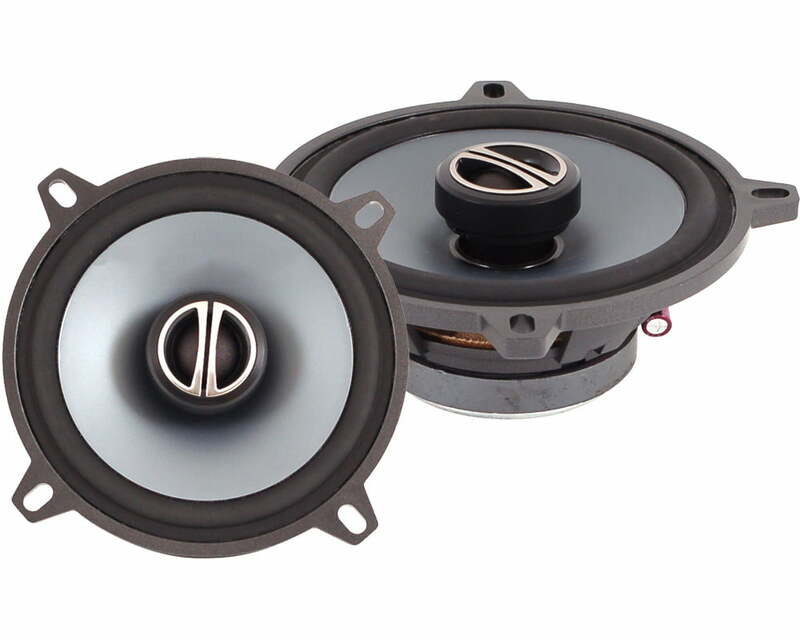 The Alpine Type-E series speakers range in three sizes, the Alpine SPE-5000 are 5-1/4”, the Alpine SPE-6000 are 6-1/2”, and the Alpine SPE-6090 are 6×9” all in order to to fit a wide array of vehicles. The Alpine SPE-5000 Type-E’s are constructed with a reinforced glass fiber frame on the back and they come with built-in, pre-drilled holes for a variety of mounting locations and orientations in many different cars or trucks.